Jeff joined Anterra in 2016 and is responsible for asset reporting and property analysis. In addition, Jeff prepares and models annual property budgets for all assets under management. Additionally, he oversees acquisitions, including detailed market studies, underwriting proformas, due diligence, and asset transaction oversight. Before Anterra, Jeff spent four and half years at Waterton Residential where he was responsible for quarterly forecasts and budgets, due diligence, and property reporting. Prior to Waterton, Jeff was an asset manager for Iron Creek Ventures and responsible for real estate assets across the country. 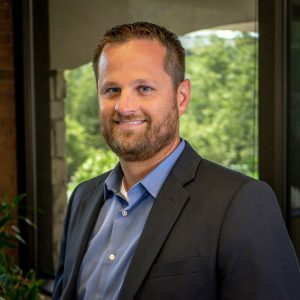 Jeff has just under ten years of professional real estate experience and has overseen due diligence on 25 communities totaling over 8,500 units since 2012.